Is HR unprepared for the future of benefits? 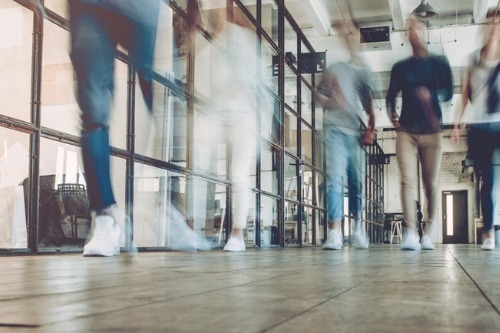 Almost 90% of employees expect their benefits plans to change in 2019 – according to a new report from Aon. Aon’s Benefits and Trends Survey 2019 highlighted upcoming trends and fashion that will shape organizations’ perk packages. Half of managers admit that their current plans don’t meet the needs to their entire workforce, whilst 60% say they are now, or expect to be, competing for talent in different market sectors. “The results from this year’s survey clearly show that the majority of respondents have either already undergone fundamental change or expect to in the near future – just 29.5% said that they don’t expect any change within the next five years,” added Richard Morgan, strategic consultant at Aon. The report found that 97% of employers believe their staff expectations are shifting – with 98% of workers wanting flexible working hours and ‘work from home’ options. ”How employers respond to these changes will define how successfully they can implement their future workforce plans,” concluded Morgan. Speaking of benefits, HRD recently reported on the top seven perks your employees secretly want. Find our more here.